Jane C. Miller, 89, Valley Road, Schellsburg died peacefully at 6:21 AM, Saturday, February 2nd, 2019 at Donahoe Manor. Mrs. Miller was born in Alum Bank on January 26, 1930, daughter of the late Charles and Nettie (Oldham) Callihan. In 1948 Jane married Alvin E. Miller he preceded her in death on April 12, 1987. She is survived by Daughter- Nima Miller, Pittsburgh; Daughter- Brenda wife of Stewart Osborn, Aliquippa; Son- Kerry Miller, Schellsburg; Son- Randy husband of Lisa (McMahan) Miller, Howard; Sister- Jenny Lee Basore, New Paris. She is also survived by 10 Grandchildren and 5 Great-Grandchildren. Jane is preceded in death by daughters Donna Hagstrom and Lana Bates and son Larry Miller along with the following brothers and sisters; Harry Callihan,Virginia Livingston, Betty Callihan, John Callihan, Shirley Wolfe, Louis Diehl, Wilbur Callihan, Gerald Callihan, Martha Smith and Victor Diehl. 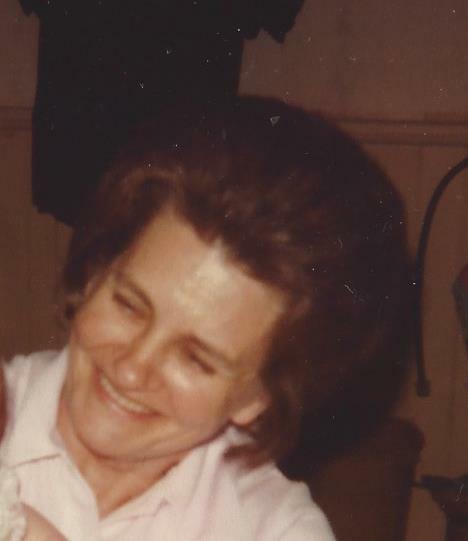 Jane was a CNA at Donahoe Manor Bedford for 30 years. Friends will be received on Tuesday, February 5, 2019 from 2-4 and 6-8 PM at Mickle-Geisel Funeral Home, Schellsburg. A Funeral Service will be held at Mickle-Geisel Funeral Home, Schellsburg at 10:30 AM on Wednesday, February 6th, with Pastor Dan Oldham officiating. Interment at Schellsburg Cemetery, Schellsburg. Memorial contributions may be made in memory of Jane C. Miller to: Alzheimer's Foundation of America 322 Eighth Avenue, 7th Floor New York, New York 10001.